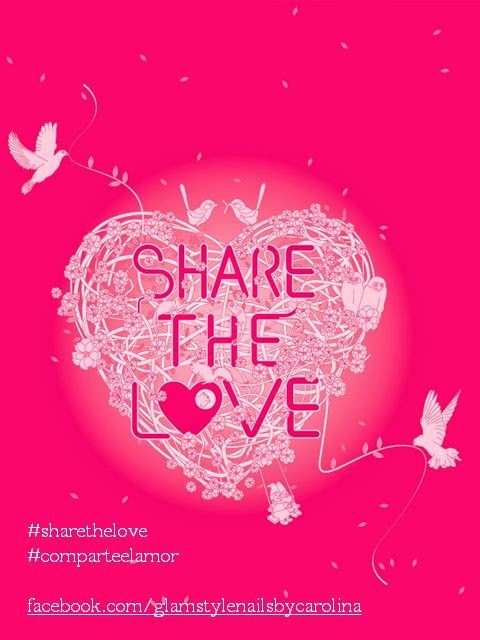 As most of you notice on Facebook, there is a movement since few weeks ago around the Nail Art community call #sharethelove #comparteelamor. This movement is to share webpages and that you hardly see because of the FB decimation of posts from our FB feeds that not all we post are seeing. I am so happy to be part of the moment and I would like to invite all of you to participate. Share your links below so I can add them to the list, and I will appreciate if you could share mine also!. Thanks so much and let's share love!. To have all the links in one place, I create this Share The Love List so I could be updating the list with all your lovely and amazing pages!.